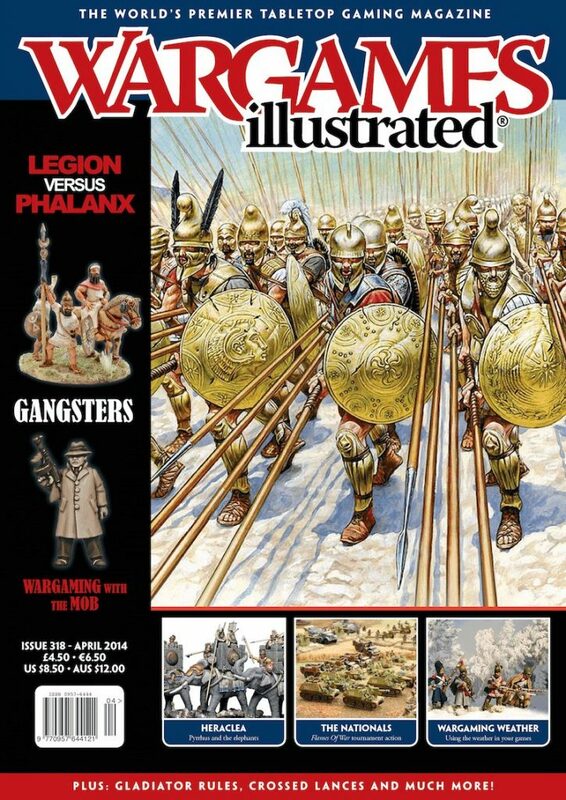 The April 2014 issue of Wargames Illustrated. Taking the theme of Legion VS Phalanx. We kick off this month’s theme content with an introduction to the concept of legion and phalanx warfare. Rules writer Simon MacDowall places both legion and phalanx in their historical context for us, and outlines the challenges of representing them accurately on the tabletop. don effinger and mike evans present this neat little scenario for a “skirmish” that was anything but neat. Heavy terrain caused a great deal of confusion in this fierce acw fight just days before the siege of vicksburg began. This classic ancient battle pitted early Rome against one of history’s most notorious generals – Pyrrhus, King of Epirus. We take a look at refighting Heraclea in both 6mm and 28mm, and examine what the battle tells us about LvP development and tactics. Osprey rules author Craig Woodfield converts his Ronin samurai rules for use in the gladiatorial arena. Staying with the gladiator vibe a little longer, our regular reviewer Wayne Bollands “rounds up” some of the best 28mm gladiator figures. With the rise of the Roman Empire came the unstoppable power of the legion. But those established kingdoms who had used the phalanx as their weapon of choice for several centuries were not prepared to simply roll over and die. In this piece Simon Miller looks at the troops and tactics adopted by the later Hellenistic monarchs in the quest to meet and match Rome and its legions. Nick Buxey talks about his life-long love affair with the criminal underbelly of Prohibition-era America. Nick presents a lot of options for model manufacturers, urban buildings, rulesets, and even suggests an extensive list of inspirational movies. We round off our theme content with an article on one of the battles, and games, which best demonstrates the clash between legion and phalanx – Pydna. The Battlefront team introduce us to the new Flames Of War campaign system, which allows players to build up points as they advance up through, or defend, Italy in 1943. The rules for weather events on the gaming table are the ones most generally skipped over and unused in any wargames rules. However should this really be the case? 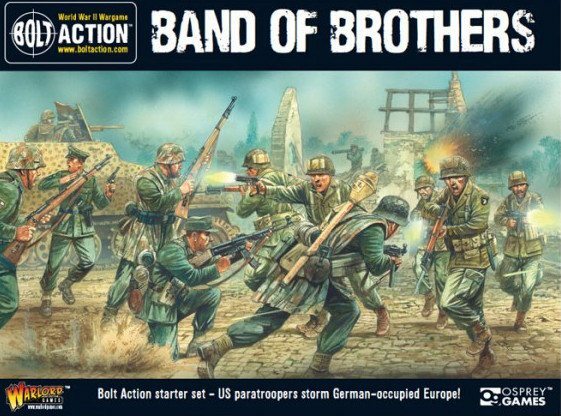 Should we make more of the weather in our tabletop battles? Pete Brown says “yes”and explains how and why here. Peter Bradford tells us the genesis story of the new ‘medieval tourney’ ruleset, Crossed Lances. Peter and his mate, Martin Knight, have developed a set of mini-games that recreate the feeling of the various competitions you would have found at a Grand Tourney. We take a pictorial look at four of the US Nationals events for Flames Of War last year, and the invitation-only event, the US Masters. FIGHTING TALK! CAN I SEE THAT? Regular columnist Alessio Cavatore discusses line of sight – both real or abstract.